81. 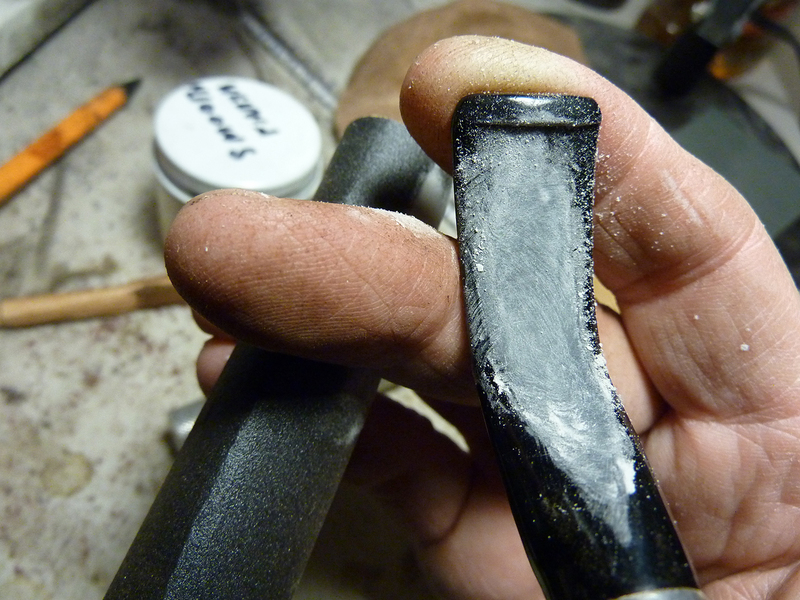 Restoring a Peterson-Sillem’s Ebony Spigot. For Christmas I was given the opportunity of restoring a small box of pipes, mostly Petes, to resell for a widow in the UK from her late husband’s collection. Among them are some interesting pieces, all in remarkably “vintage” condition. As we were working on layout & design for the estates & restorations chapter in the book at about the same time as I received the box, I found myself marveling at the beauty of these obviously well-beloved and often hard-used pipes. 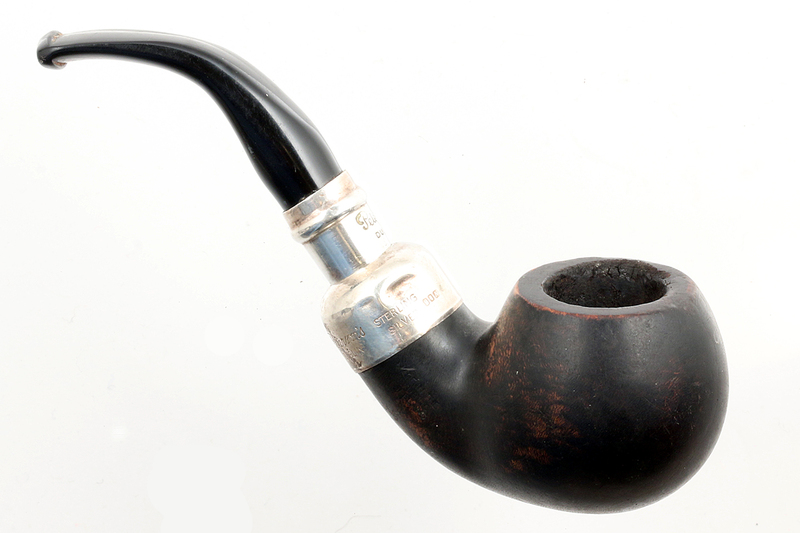 This 03 spigot is of note to Peterson fans because it’s one of many rarely-seen Peterson collaborations, this time with Sillem’s, whom many consider the oldest brand name connected with tobacco. Here in the US, we know about Sillem’s primarily through their tobacco, but in the EU they’re known for marketing high-quality sterling and leather products, very pricey Old Boy Coronas, flasks, and so forth, mostly quite difficult to source here in the States. The Peterson connection is through Torsten P. Seiffert, director of the company and one of three sons of Detlef Seiffert, who worked as a journeyman at Peterson for six months and was Harry Kapp’s godson—but more about that in the book! It doesn’t look like Sillem’s is still partnering in the creation of briar pipes, although they seem to have done so until fairly recently. 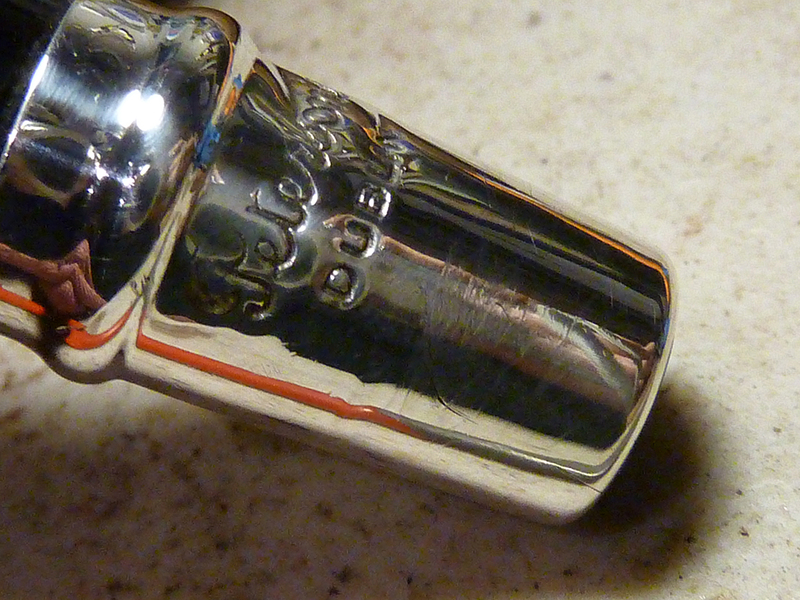 Peterson released more than one shape, all spigots, with the Sillem’s stamp, apparently all in the 1990s. 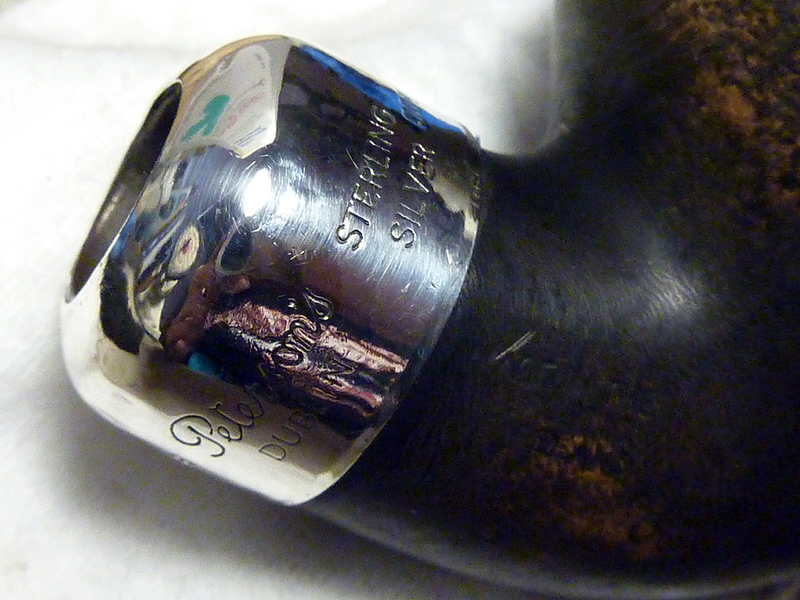 Aside from just looking really wicked cool, the silver-solder work cross on the Sillem’s-Peterson pipes is the earliest I’ve seen. 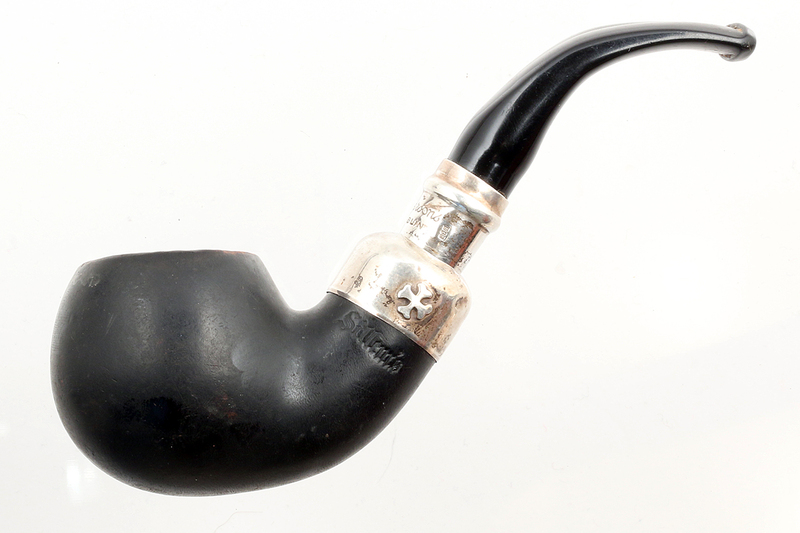 David Blake, former silversmith at Peterson, was getting into doing this type of silver soldering on a regular basis with some of the special collections and special issue pipes like the Castles Collection (2009) (with its crown ornament) and the Thinking Man on the Founder’s Edition in 2015. Shape 03 was first introduced in 1979 in both the System and Classic Range. 1979 was also the year spigots returned to the Peterson catalog. 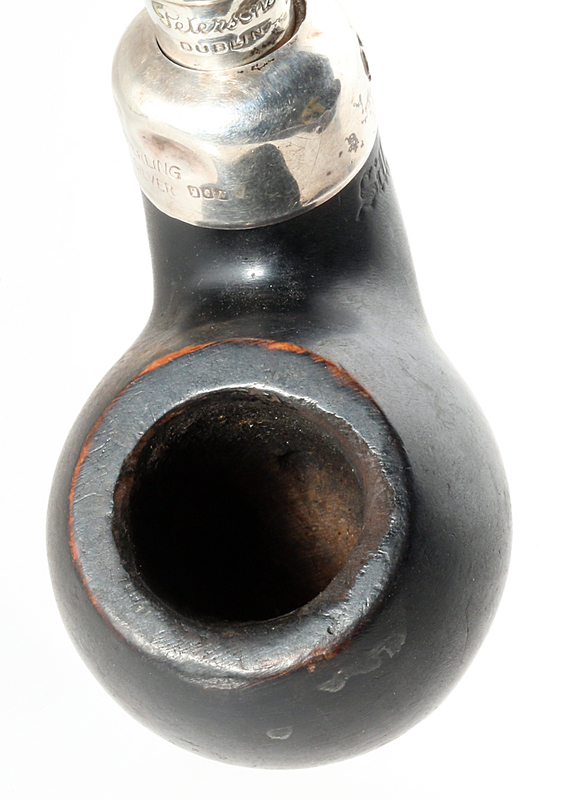 This pipe has hallmark N on both spigot mouthpiece and the domed mount, dating it to 1999. The bowl, like several other bowls in the lot, had a gouge in the obverse left rim from a knife of some sort. 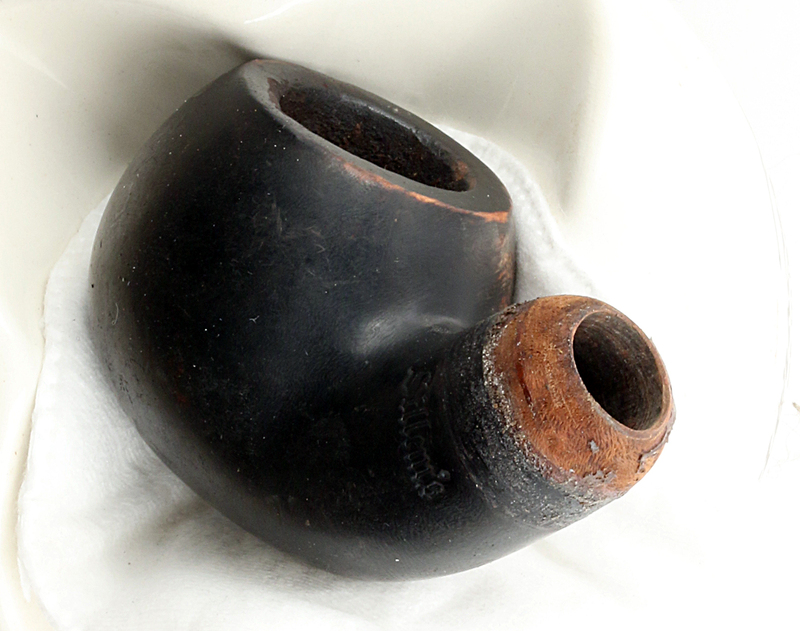 There was very little rim tar and no lava, but the ebony has been worn through in several places on the bowl. The acrylic mouthpiece is also curious, almost like an unfinished piece, with a kind of spinal indentation running all the way up and down it on the top, and appearing a little on the bottom. 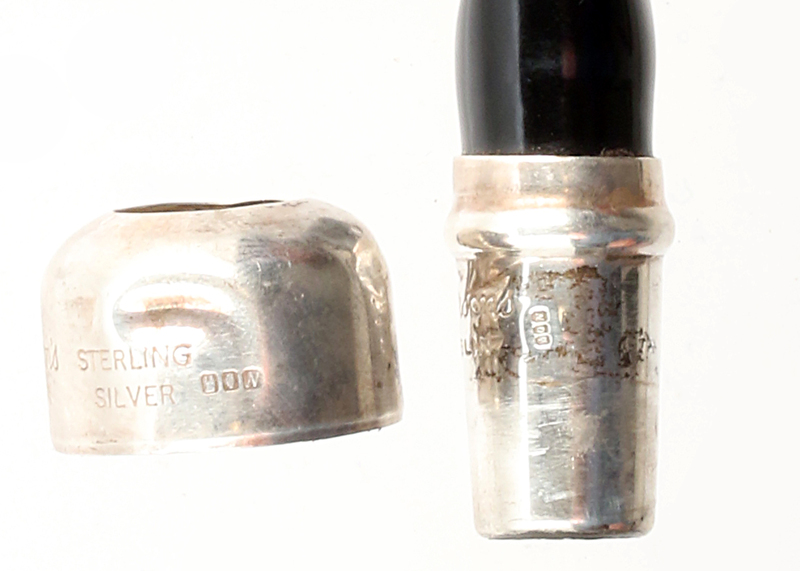 If I had to venture a guess, I’d say the original owner may returned the original spigot and Peterson or the repairman rescued the sterling piece, reinserting it into a new but unfinished acrylic mouthpiece. 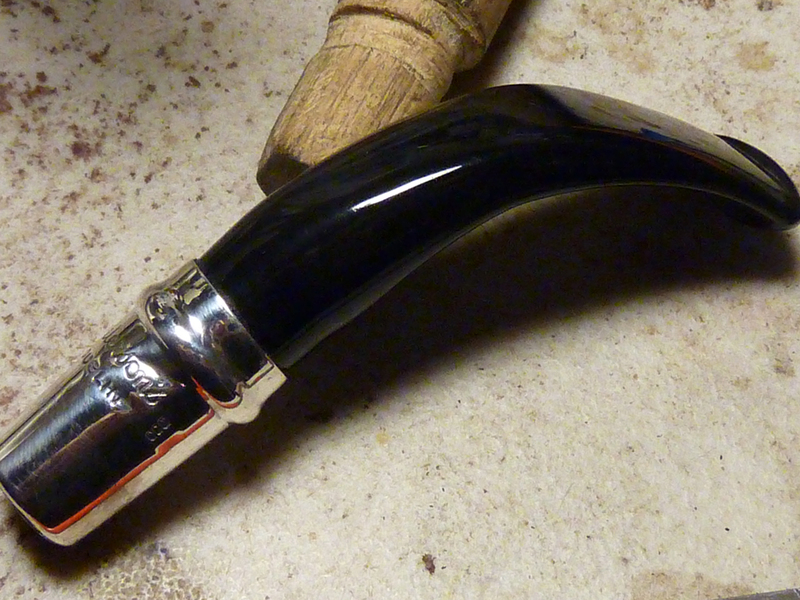 Turning my attention to the scratched sterling spigot at the tenon-end, I knew I didn’t want to risk damaging the hallmark, so I decided on a light reconditioning buff with Fabulustre, which is gentler than white diamond. The results considerably brightened the sterling as well as removing most (but by no means all) of the scratches. 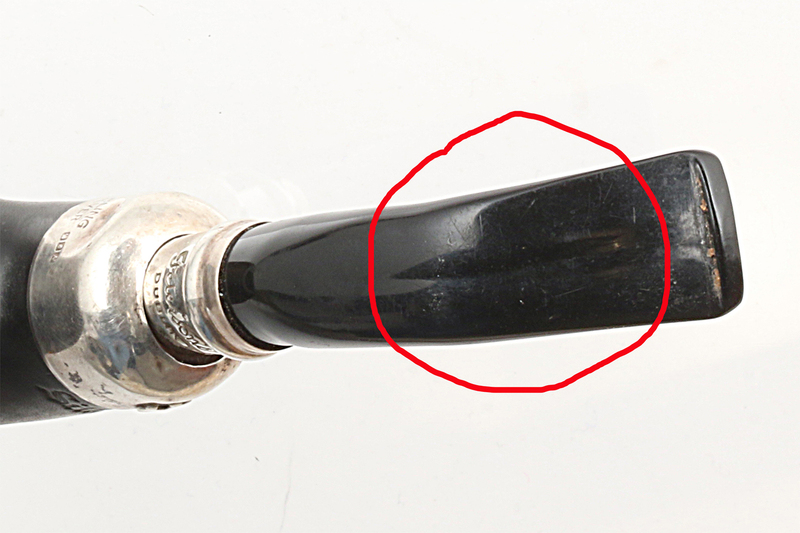 Some scratches on a spigot are inevitable, as it will hit the metal on the mortise of the ferrule when it is inserted, removed, and twisted into place. Like the other Peterson mounts in the widow’s box, the mount on this one had several dents and dings, which you can see in some of the earlier images. 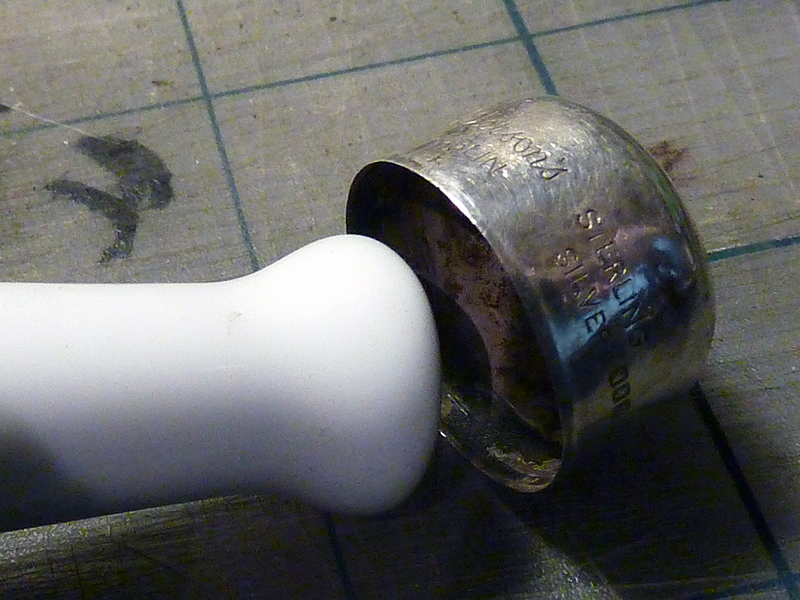 I follow Steve Laug’s protocol for heating the sterling over a heat gun, then inserting a round-end dowel into the heated metal cup and pressing them out. 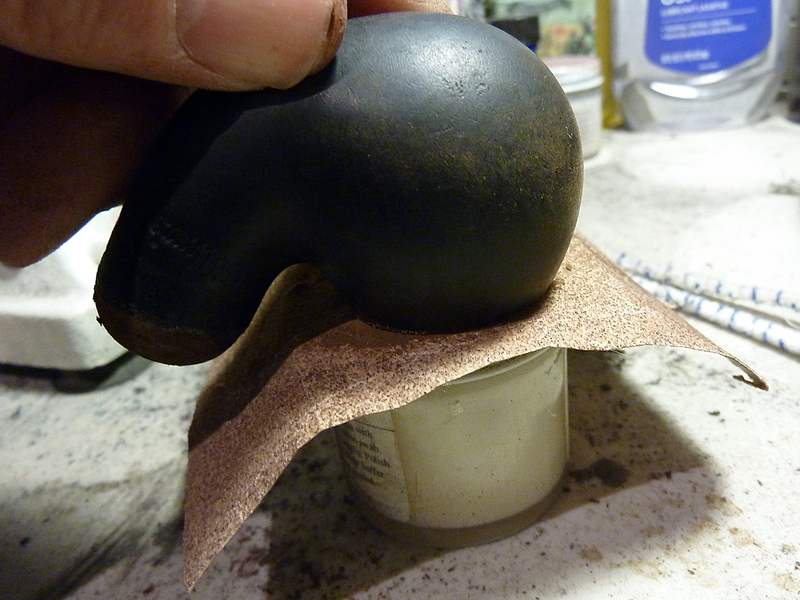 I didn’t have any wooden round-end dowels small enough, and looking around I found the handle-end of my pestle (from the mortar and pestle I use for mixing pipe mud) worked quite nicely, giving me a hard, round, heat-impervous surface to mash against the inside of the ferrule. I got most of these removed, and know from previous experience that once the band is remounted and sanded, most of the “ghosts” of most of the dents will disappear. 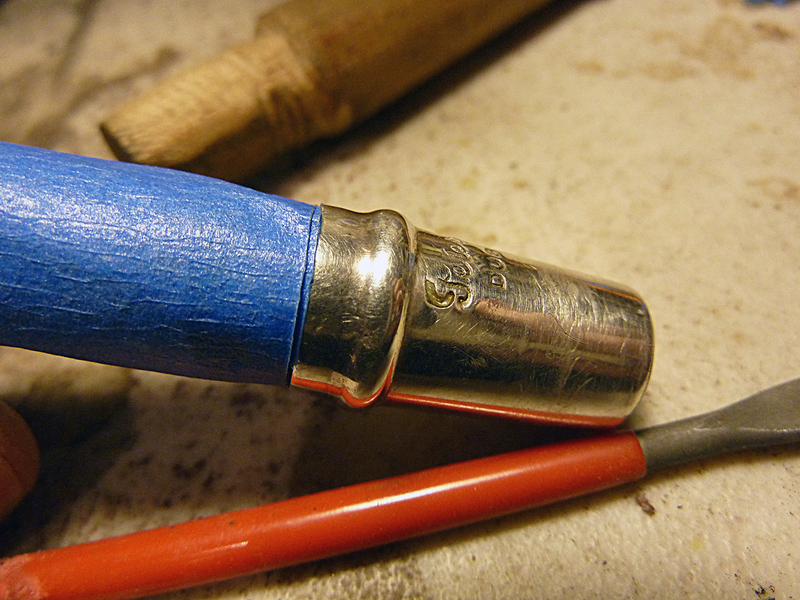 I next glued the ferrule back to the stummel, using Liquid Nails, moving the ferrule around just a bit to center the Hanse cross on the obverse side of the pipe. 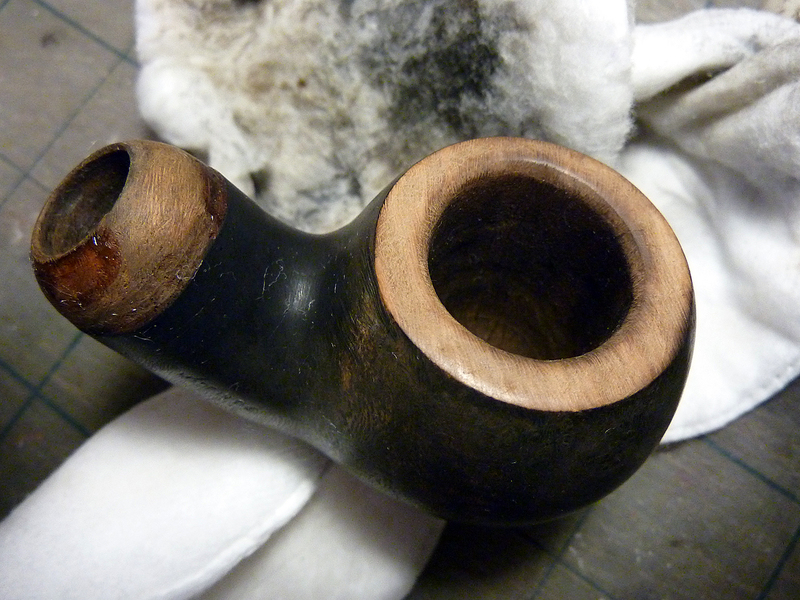 With the mouthpiece and ferrule out of the way, I was ready to turn my attention to the bowl. You can see in the photo below that the pipe was stained after the ferrule was attached. Interesting. And I say “stained,” because I’m not sure this was sprayed. 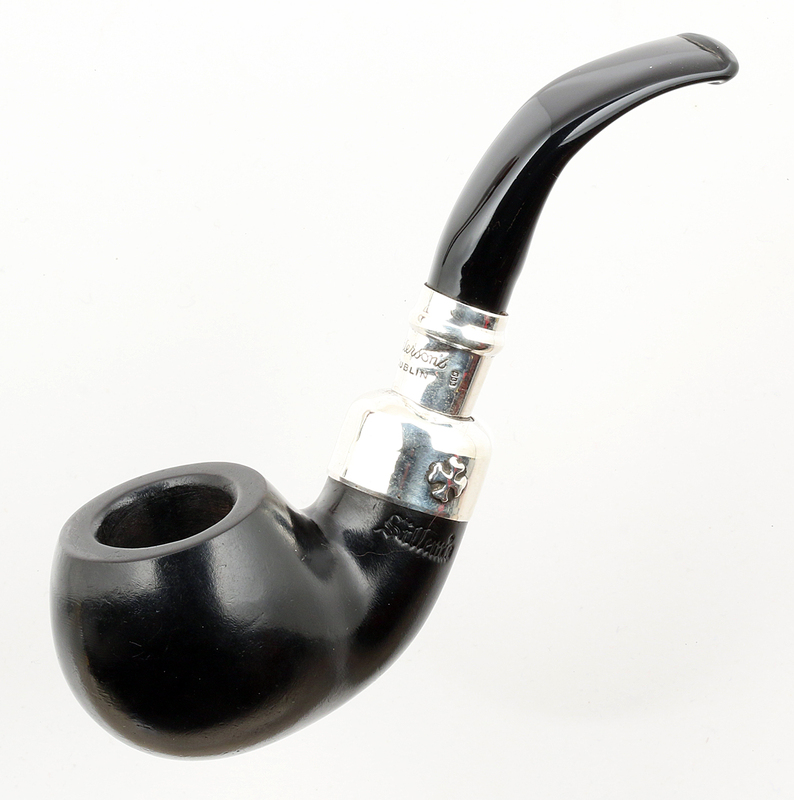 Looking at all the Peterson – Sillem’s pipes images I could find on the internet, they uniformly have a matte finish, rather than the gloss expected from spray. After reaming the chamber, I could ascertain how deep the pen-knife gouge went. A little topping would be necessary, but fortunately, the 03 shape comes either flat-topped or with both an inner and slight outer bevel, which meant I could bevel both inner rim and outer if I wanted and still have the pipe coming out looking like a Pete. 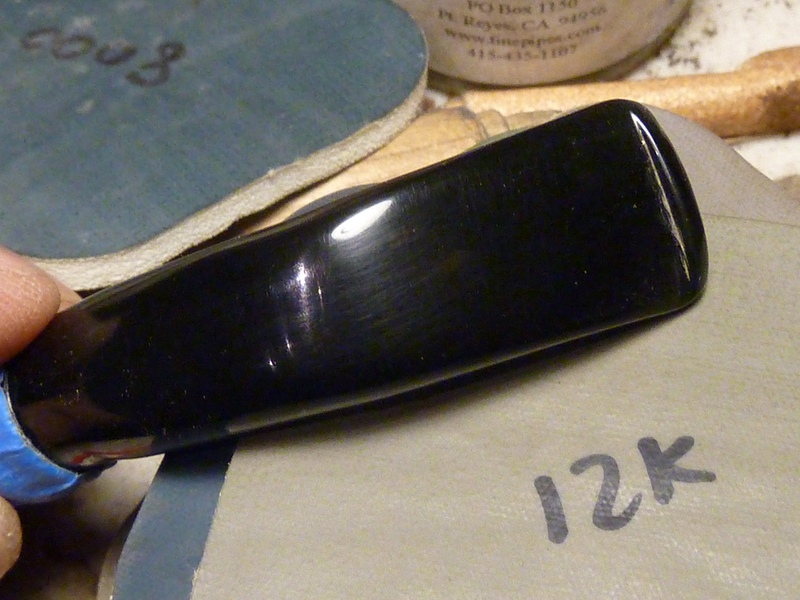 I decided to go for a real inner bevel, but such was the gouge that the chamber still looks slightly out of round. 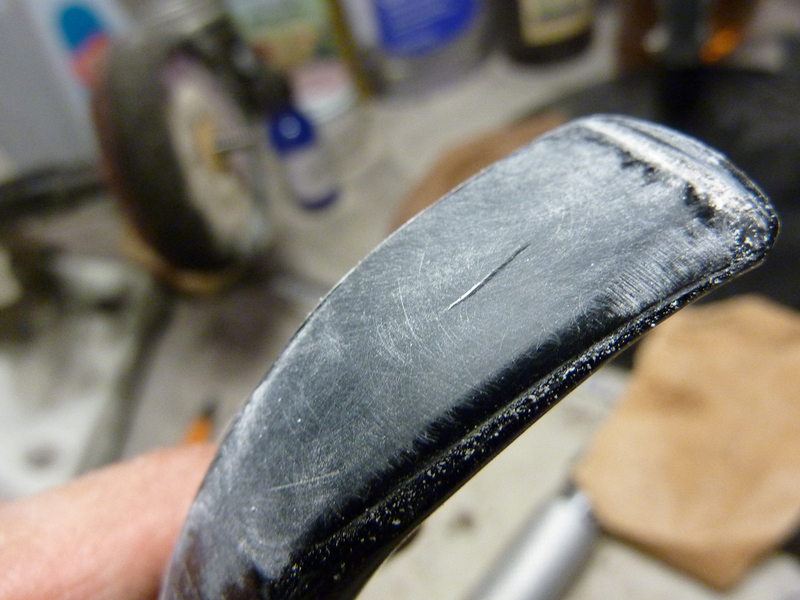 Then I just took the edge off the outer rim to take care of a few minor rim problems. I don’t like bowls that have been severely topped, preferring to keep the pipe as close as possible to the original. Most of my restorations retain a bit of the “character” of their age and use. You pros will know how easy a bevel is, but I’m not very practiced, so I proceeded very slowly, with the sandpaper wrapped around a dowel, then smoothed it with a few grades of Micromesh sanding pads. 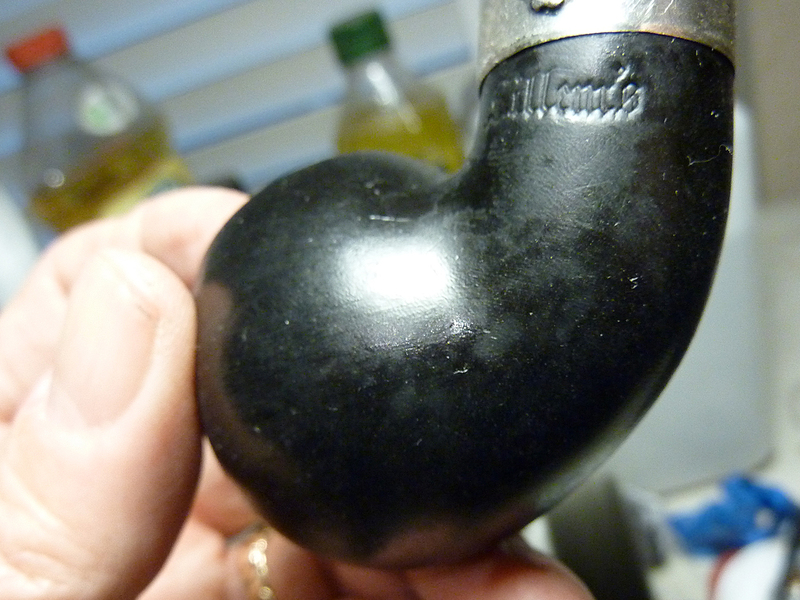 I then applied three full-stength coats of Fiebing’s black analine, alcohol-based dye. I allowed the first to dry for about 30 minutes, rubbing off the remaining dye, then followed it with two more coats, wiping down between each. Because the rim was naked wood, I burned in the dye, which I don’t usually do. Now at this point, I could finish it up with Fabulustre and carnuba, giving it a higher gloss but risking buffing the stain off the rim, or use Osmo Polyx Hard Wax Oil #3054, which takes much longer, but actually creates a breathable finish over the stain, being a wax and not a shellac. ** I learned about Osmo from my German engineer & pipe-artisan friend Rainer Kockegey-Lorenz back in 2011 when I was having difficulty getting a particular estate Peterson to hold any kind of luster. 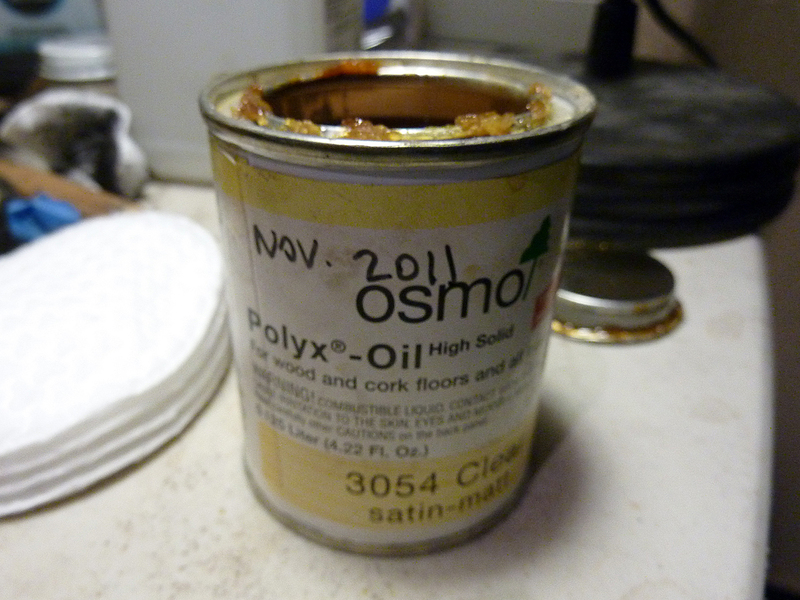 This hard wax oil is made in Germany for flooring, boats, and so on. You can see in the photos it doesn’t leave a high gloss, but medium sheen, and you can feel the wood under the fingers, unlike a top coat of white diamond or Fabulustre. Like I said, it takes a bit of time, but is not labor intensive. You can see I placed only a tiny drop on my forefinger, which was enough to rub into the top half of the bowl, beginning with the rim and working down. It took me another finger-tip drop to complete the bowl. I left it a full 24-hrs (as I had to go to work the following day), then repeated the process. You can see in the image below it looks a bit splotchy after the second coat and 24 more hours of drying time. Not to worry. Install a floppy clean buff on your buffer and give it a go. It takes a little time to buff the oil in and get the finish right, but for me, it was worth the time involved, as I wanted a modest sheen to suggest the original Sillem’s finish. The finish leaves a slight odor (from the mineral spirits) that disappears after a week or so. Not to be confused with traditional oil finishes, OSMO Hardwax Oil is an engineered finish made with plant oils and waxes, plus just enough highly refined mineral spirits to allow easy application. This remarkable finish offers excellent durability and renewability with a unique lustrous finish. It will never crack, blister or flake off. Instead of forming a plastic film, like polyurethane does, OSMO Hardwax Oil has open pores that “breathe.” This allows any moisture that does get through to get back out again without pushing off the finish. Spot repairs are easy. There’s no need to strip the whole floor or even to remove old Hardwax Oil. For minor repairs, just scuff the damaged area with fine steel wool, coat with OSMO Liquid Wax Cleaner and buff lightly when the cleaner is dry. 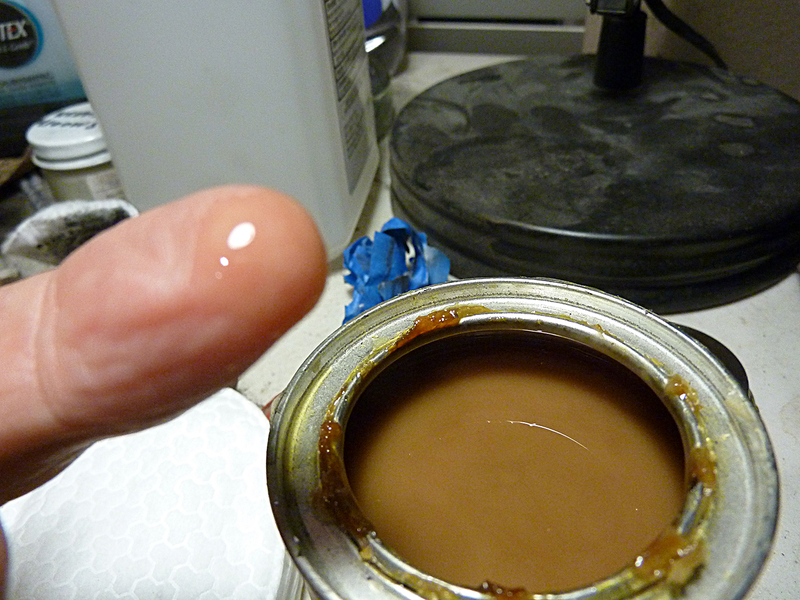 If a more extensive fix is needed, use Hardwax Oil. Make repairs regularly, and the finish will last indefinitely. When dry, meets European safety standards for use on children’s furniture and toys and resistance to perspiration and saliva. Price in U.S.: for .125 liter (4.22 oz): $16.95. Great-great-great, thanks for so much information all at one time. Excellent work, Mark. Thanks also for thr detailed product info! Thanks, Charles, and thanks for your help on this project. Great work on this one Mark. I want to share it with the readers of rebornpipes because of the Osmo that you introduce. I am going to have to get a hold of that. Thanks Mark. Great work on this one. Thanks, Mark for the great information and very impressive results on the Pete. I’m going to look into the Osmo.